Why some advocates say teacher licensure structures should be guided by developmental science, not the needs of district bureaucracies. Teaching young children takes a different skill set than teaching older children, yet many states’ training programs are not preparing teachers for these special demands. Experts have long noted that learning in the earliest years is more than just the ABCs and numbers. The early learning process is an “integration of social, physical, and emotional needs with cognitive needs,” said Sherry Cleary, executive director of the New York Early Childhood Professional Development Institute. Yet many teachers are not trained to address this unique blend. Each state has different licensing rules that guide what, when, and how early childhood teachers are trained. If a license only certifies teachers for a narrow range of early elementary grades—say, pre-kindergarten to third grade—the corresponding training programs will focus on early learning. Pennsylvania and Ohio are among a handful of states that have changed their licensing requirements to better prepare teachers for the early grades. The licensing changes, guided by developmental science, are steps in the right direction, say advocates. The policy shifts put the needs of young learners ahead of bureaucratic practicality—which has caused some hitches along the way. In 2007, Pennsylvania switched from N-3 (nursery to third grade) and K-6 (kindergarten to sixth grade) licenses to PK-4 (pre-kindergarten to fourth grade) and 4-8 (fourth to eighth grade) licenses. Previously, early childhood advocates there say, many teachers pursued the broad K-6 license, ending up teaching a kindergarten class without specialized knowledge of young children. The PK-4 certificate was designed to build a stronger pre-K workforce, but also to create a greater understanding of the needs and experiences of early learners in elementary grades. The change in Pennsylvania in 2007 coincided with the passage of Pre-K Counts, a large state-funded preschool program whose lead teachers have to be certified. The new licensing structure has brought about both expected and unforeseen consequences. Some Pennsylvania administrators lament the lack of flexibility when it comes to staffing. At Fairview Elementary in Mountain Top, Penn., for example, the incoming fifth grade class last year was larger than the fourth grade. Principal Peg Foster moved a fourth grade teacher up a grade, but would not have been able to had the teacher only been licensed for PK-4. Across the border, Ohio has issued P-3 licenses since the late 1990s. Early childhood teachers there can take additional coursework for an endorsement to teach grades four and five. Administrators there say the specialized license not only makes hiring a challenge, but risks sacrificing foundational teacher training that applies to all grade levels. In Pennsylvania, the limitations of the new licenses were exacerbated by the economic hardship of the Great Recession. Benso said that even before the economic crash, school districts in her state were struggling with “woefully inadequate resources to provide developmentally appropriate practice or instruction.” But the fact that the licensure structure changed on the eve of the recession made the challenges even greater for administrators, who needed extra flexibility to move existing staff around. The new certification structure had to be implemented alongside funding cuts, teacher layoffs, and growing class sizes. But some advocates say licensure structures should be guided by developmental science, not political and economic forces. In her view, even Pennsylvania’s shift to a narrower license is not in line with what the developmental science says is best for children. Science shows that age 9—the end of third grade for most students—is when children have entered middle childhood and can accomplish complex intellectual tasks, provided they have had opportunities to build a good foundation in those first eight years. Cleary sees fourth grade as an arbitrary dividing line for this reason. An adjustment to the policy also allows holders of either the PK-4 or 4-8 licenses to “add on” the other and become dually certified by taking a test. That means a teacher could land in an early childhood classroom without having taken any coursework or completed field experience with that age group. These recent changes come amid growing national attention to early learning and the future workforce. The National Academy of Medicine (formerly Institute of Medicine) and the National Research Council last year released an in-depth report on building a qualified early childhood workforce. 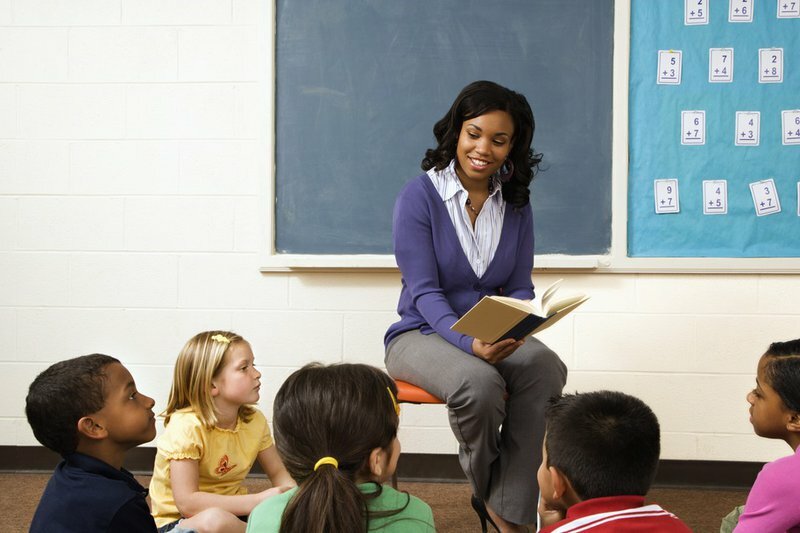 The researchers recommended that teachers of children from birth to age 8 receive specialized training. The White House has pushed for access to quality pre-K. The Department of Health and Human Services has drafted recommendations for developing stronger career pathways for early childhood educators. But certification systems in most states are lagging behind, reflecting politics, economics, and the needs of big school bureaucracies instead of putting children first, as Cleary says.